Just about everyone has had a frightening experience that involved a creepy doll. It’s something about their soulless eyes that is just terrifying. They’re motionless but somehow they always have their eyes on you… Yikes! We’re giving ourselves the chills just thinking about it. Now you can make people do a lot more than just think about the creepy dolls of their past. 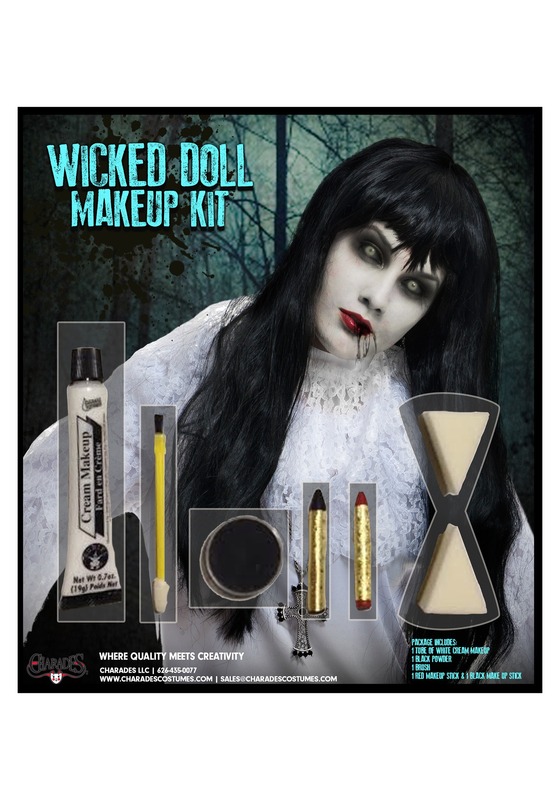 You can make their worst nightmare come to life with the help of this Wicked Doll Makeup Kit! This kit will come with everything you need to make your face seem as lifeless as your grandmother’s collection of dolls. You can enjoy sitting in a chair in the corner of your home, completely motionless, and then, at the perfect time, freak all of your friends out when you suddenly come to life with a devilish smile. If you do it just right you should get plenty of screams and maybe even cause some serious psychological damage! How fun.